“Scandal” actress Kerry Washington and Rep. Alexandria Ocasio-Cortez were among Twitter users who criticized CBS for seemingly not including any Black journalists on its newly announced 2020 Election team. Washington and Ocasio-Cortez reacted to a tweet from CBS’ Ben Mitchell that had headshots of the 12 producers and reporters assigned to cover the 2020 Presidential Election. The tweet provoked hundreds of replies, including several members of the media who questioned how the team’s seeming lack of Black journalists would compromise coverage for African-American voters. 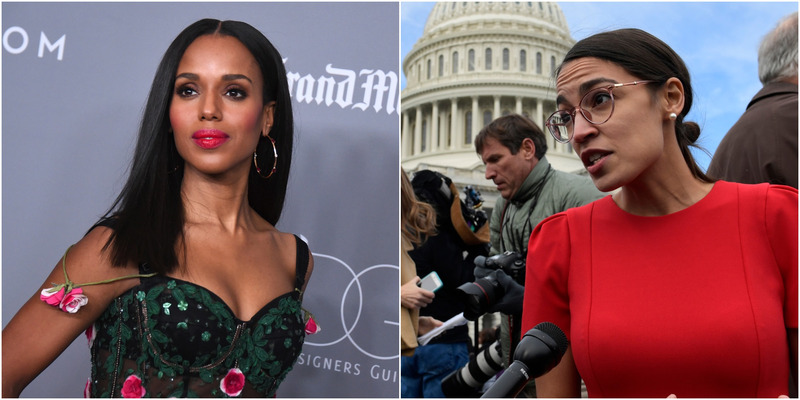 “Scandal” actress Kerry Washington and Rep. Alexandria Ocasio-Cortez were among Twitter users who criticized CBS for announcing their new 2020 election team without seemingly including any Black journalists. Though they garnered significant attention, Ocasio-Cortez’s and Washington’s reactions were just two among hundreds of tweets criticizing the team’s seeming lack of diversity. Many other members of the media tweeted to criticize the announcement. Journalist Erin Biba wrote that it was “remarkable” that CBS would “make an error this glaringly stupid and wrong” by not crafting a more diverse team. It’s actually *remarkable* that you could make an error this glaringly stupid and wrong. You’d almost have to have done this intentionally it’s so obvious. New Yorker Staff Writer Jelani Cobb pointed out that the team would be covering an election that is expected to be dominated by key issues including voter suppression and racial relations. Tiffany Cross, co-founder and managing editor of The Beat DC, a site that calls itself “DC’s inclusive political pulse,” tweeted to encourage readers to look elsewhere for 2020 coverage. Not a single Black journalist covering the 2020 campaign for @CBSNews @CBSPolitics. Not. A. Single. One. 🤦🏽‍♀️ Seriously, y’all, subscribe to The Beat. https://t.co/3kcYXiMbfn Politics. Policy. People of color. It’s a thing. Political News for the rising majority of the country. Business Insider did not receive a response from CBS on the matter.